Equipped with almost the same movement (actually it’s more complicated) as found in the US$1.15m “Only Watch” split-seconds, the lineSport Chronograph Monopoussoir Rattrapante is the first of F.P. 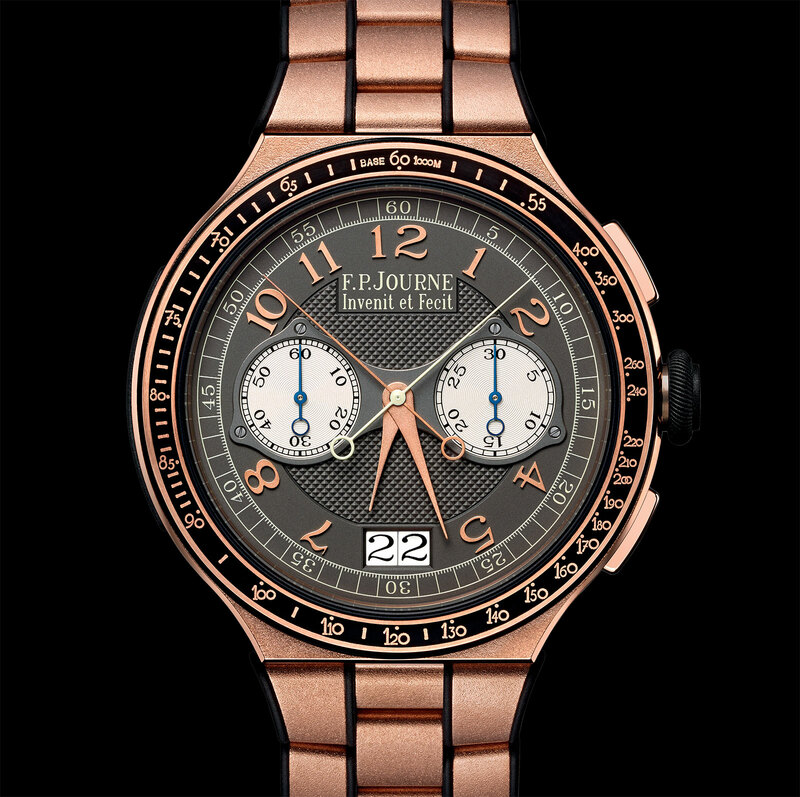 Journe‘s face-lifted sports watch line. Larger and intended to replace the Centigraphe Sport, the new chronograph is a split-seconds chronograph with an oversized date at six o’clock. The case is a larger 44mm in diameter, but just 12mm high. 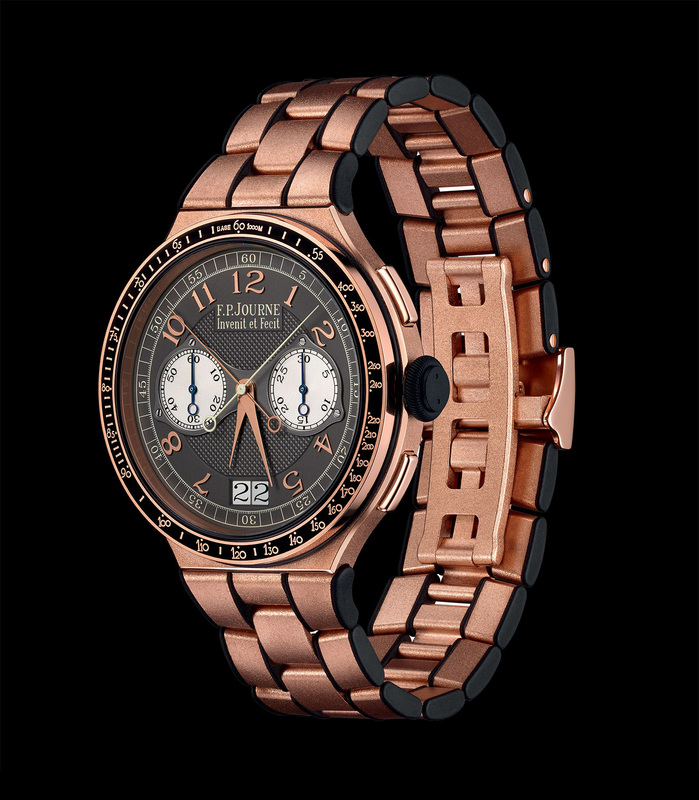 Notably, it is available in titanium, but also 18k red gold or platinum, all with matching metal bracelets. The platinum model has a silver dial with hobnail guilloche and a “blue-mauve colour”, silver registers and applied markers in matte white gold. 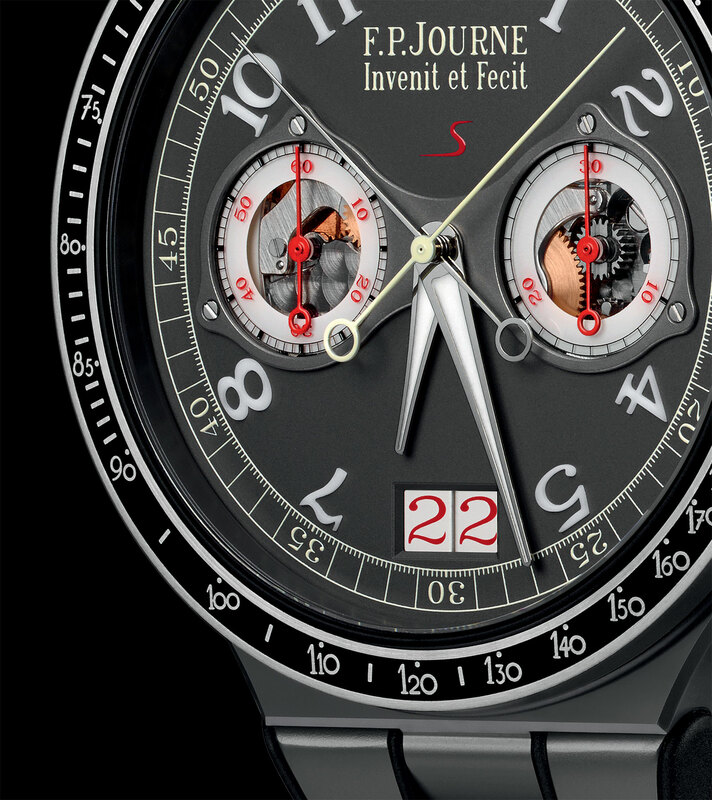 In red gold the dial is guilloche solid silver coated dark grey with silver sub-dials, and in titanium the dial is made of aluminium finished dark grey, along with clear sapphire chronograph counters, just like the Centigraphe Sport. 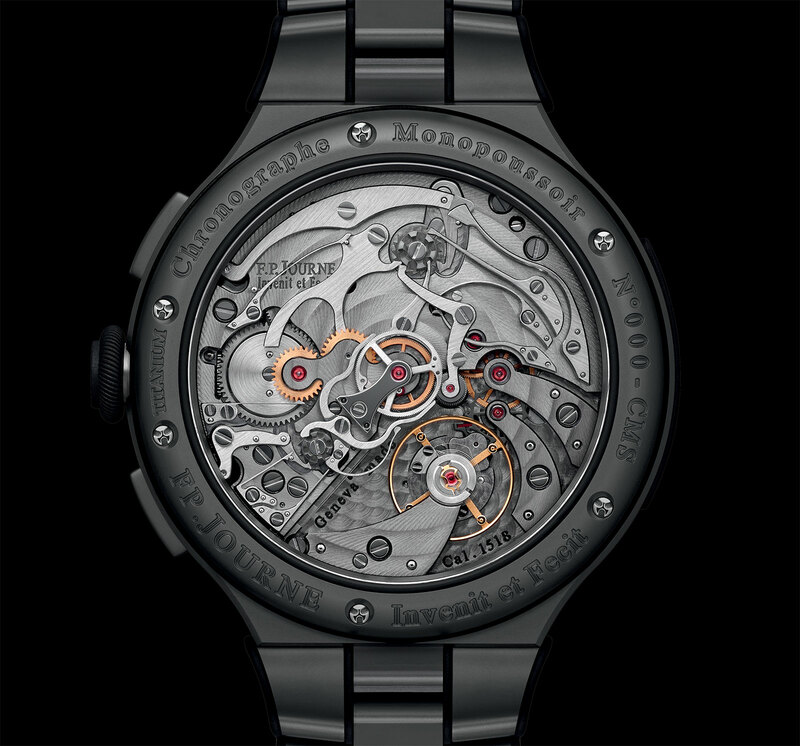 All three models have rubber inserts on the case, crown and bracelet, along with a ceramic bezel insert that has a tachymetric scale modelled on the “Only Watch” split-seconds. The cal. 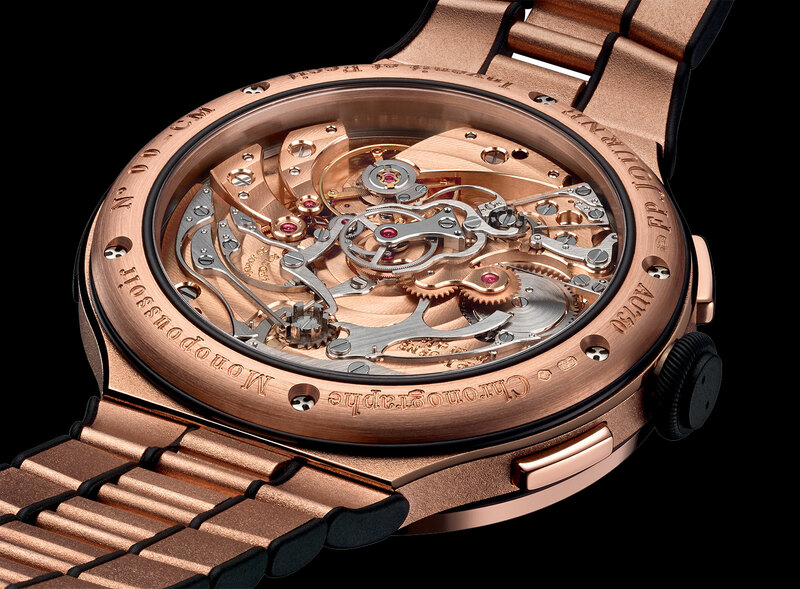 1518 inside has 18k red gold bridges in the gold or platinum models, and aluminium for the titanium version. 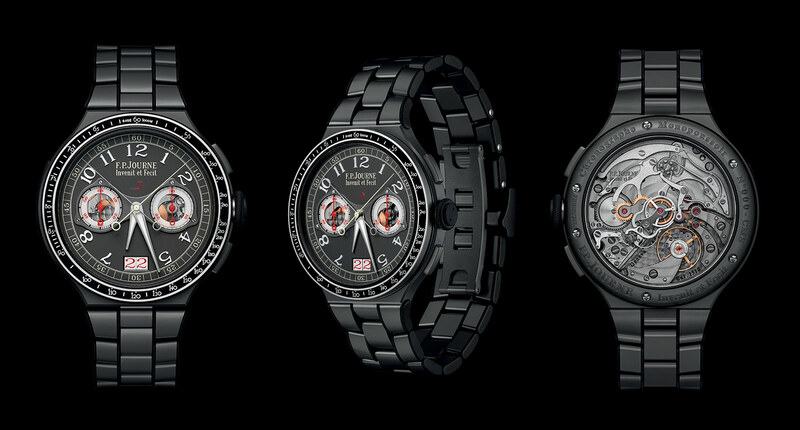 Materials aside, it is otherwise identical across models, being hand-wound with an 80-hour power reserve. 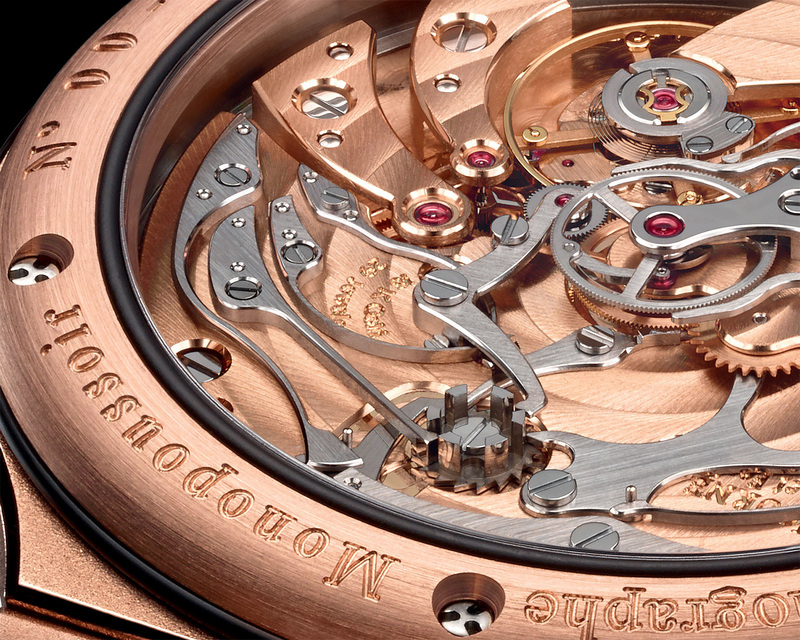 Just 6.8mm high, the movement uses the pusher at two o’clock for start, stop and reset – hence monopoussoir – while the second button at four controls the split-seconds. 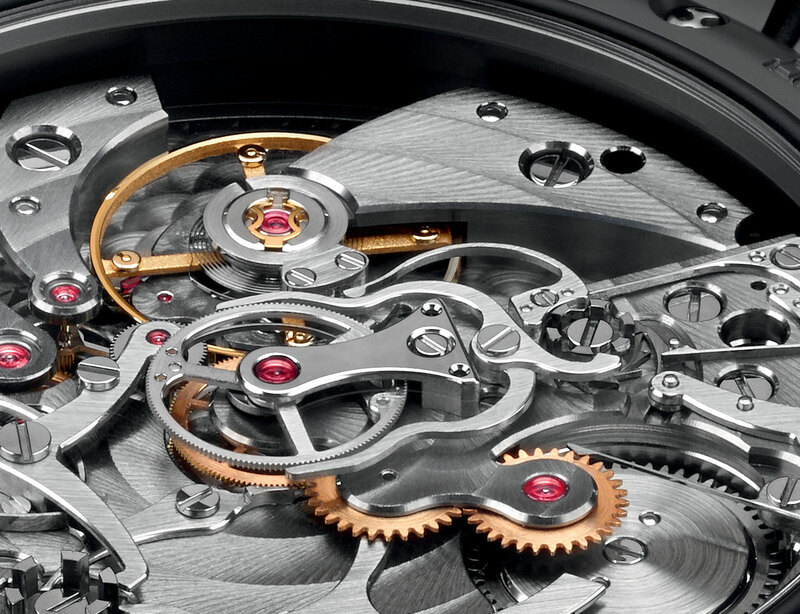 The chronograph mechanism features a column wheel as well as a horizontal coupling with rocking pinion that eliminates seconds hand stutter when starting the chronograph. 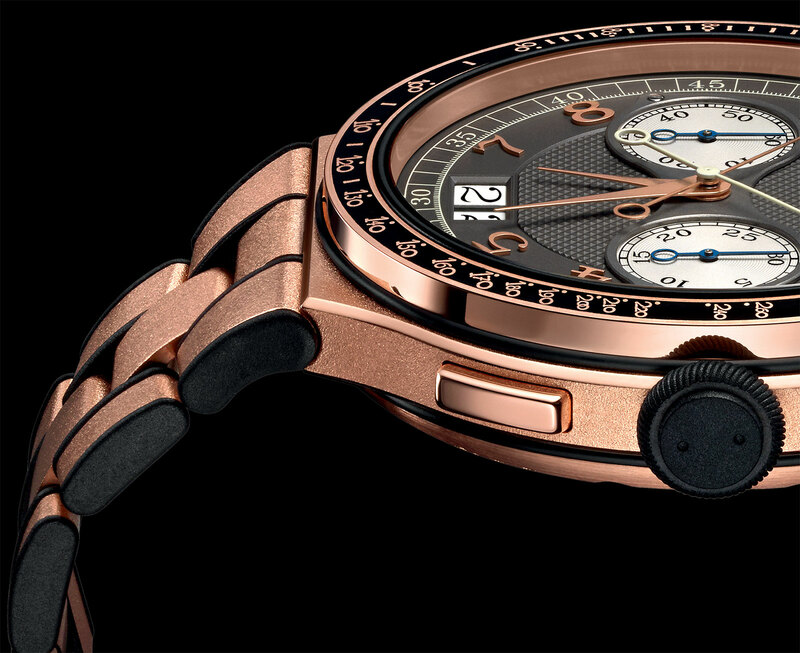 The lineSport Chronographe Monopoussoir Rattrapante costs SFr58,000 in titanium, SFr78,000 in red gold, and in platinum it costs SFr106,000. It will be available later in 2018. Update January 13, 2018: Additional stock images included.